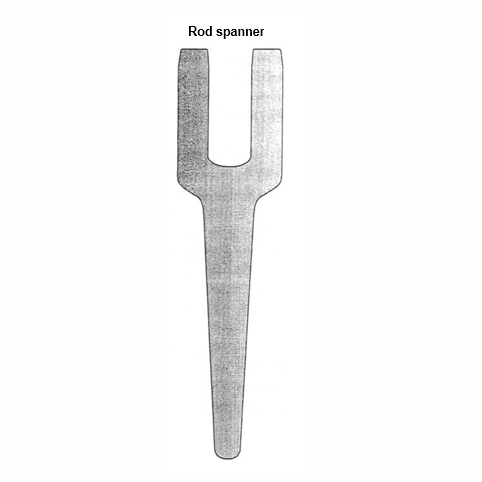 Heavy-duty forged steel spanners designed to fit across spanner fiats on most rod types. Heavy-duty forged steel spanners designed to fit across spanner fiats on most rod types. Standard types available from stock to suit drill rods supplied by Archway, or supplied to customer specifications. When ordering pleasure state the measurement across the spanner flats.